Born 23 March 1864, Wedderburn, William Middleton's family moved to Buninyong when he was two years old, and Ballarat when he was ten. Middleton managed the plumbing and gas fitting firm 'Middleton and Morris, which was launched in 1888, first in Armstrong Street, then in Sturt St Ballarat. The firm expanded rapidly and was responsible for many big contracts in Ballarat. Middleton married Elizabeth Jane Mitchell and they had eight children. 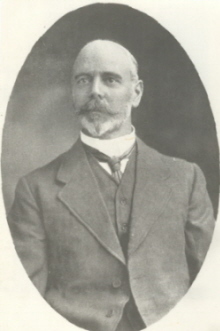 President of SMB Council from 29 November 1912 to 1 June 1940, Middleton was also Foundation President of the Technical Schools' Association of Victoria (1916-17). He was a foundation member of the Church of England Grammar Schools - both girls and boys, and sat on the Councils since each was brought into existence. For many years Middleton was associated with the Art Gallery, Progress Association, Railway Users' League, Employers' Federation, and many other such organisations. Middleton had many community interests. Having a good voice he was a member of the Liedertafel under John Robson and George Herbert, and was a member of the All Saints Choir for 55 years. 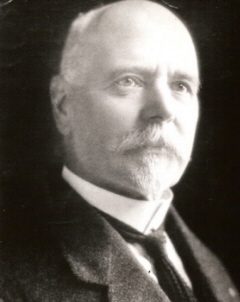 During the early years of the South Street Competitions he competed in many Choral competitions, and was president of the Ballarat Musical and Operatic Society. He was the patentee of the 'Cresent Air Petrol Gas Machine'. This biography was researched by Clare Gervasoni, July 2009.